martial arts, fitness and nutrition, we live it daily. All my instructors keep themselves in top physical condition by exercising daily and practicing the healthy lifestyle that we teach. Leadership is “Action” NOT position. We at QC Krav Maga also feel it’s leading by example. In addition to healthy living, we also practice continuing education. By constantly improving our education and training methods, we are able to bring you the most up to date and accurate self-defense and fitness methods in the industry. Myself and my staff travel across the United States training with highly skilled and qualified instructors from all over the world. Most people today are aware that they must maintain a healthy lifestyle in order to live longer lives. Most people who haven’t maintained their health want to get into shape, lose weight and learn how to take care of themselves but just don’t have the proper knowledge or motivation. Here at QC Krav Maga, we will not only help you get into shape, we will also guide you with nutritional information and proper training techniques to help you reach the goals that you set for yourself. Our goal is to help you set and achieve your goals in the safest environment possible. Another serious topic is personal safety on the streets. In this crazy world today, violence is everywhere and people just want to feel safe. Men want to know that they can take care of themselves and protect their families, and women want to protect their children as well as themselves. You can’t trust that help will get to you in time to stop the attacker or that bystanders will help you in the time of need. Today you have to learn how to defend yourself and how to evacuate the danger zone. 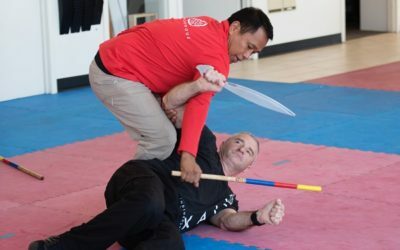 At QC Krav Maga you will learn a variety of techniques that will enable you to either stop an attack before it happens or defend yourself in the time of need. Every class we teach has a three-part process: address the immediate danger, counter attack and evacuate the danger zone. We also pride ourselves in fostering a friendly environment where everyone feels safe, and enjoys working out. As you continue training, you will increase your physical fitness as well as self-esteem and self-confidence. Come in and see first-hand how our instructors can help you achieve more than you ever thought possible. Instructors at QC Krav Maga are among the best instructors in the nation. Each is personally selected and trained by Mr. Linnabery and then certified through Warrior Krav Maga training system. Every instructor is well trained, and not only serious practitioners but also have traditional martial arts training. Most of the instructors have their Black belts in Taekwondo and are regularly active in classes and cross training. Mr. Linnabery personally teaches the Taekwondo 300 hour, instructor certification process. He mentors each instructor, and coaches them to be top notch instructors. Every Krav Maga instructor is also required to train in Warrior Kali. In this ever changing world, continuing education is a must. Krav Maga is an evolving self-defense system so Mr. Linnabery and his staff of instructors travel several times a year and train with some of the highest quality instructors in the business. This allows QC Krav Maga to bring you the highest quality and most up to date training methods in the industry. Having been in the U.S. Marine Corps for over 29 years, Mr. Linnabery not only believes in training, continuing education and leadership but has lived it for almost 3 decades. QC Krav Maga offers a unique atmosphere in a top-notch facility. We have over 2,800 sqft of training space with the most modern equipment available. 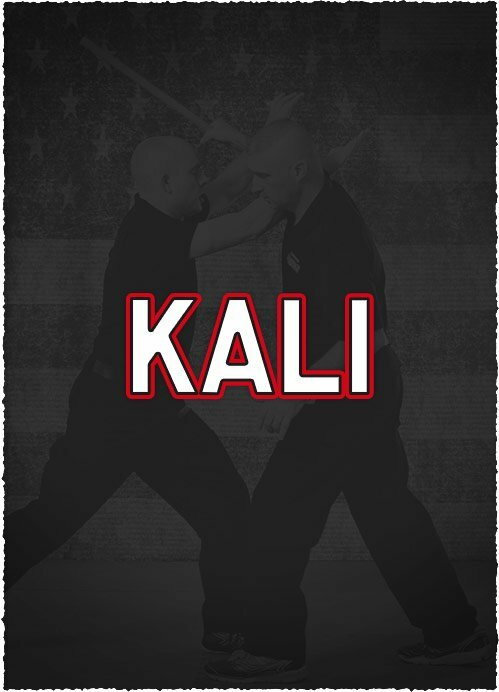 We offer the perfect blend of self-defense, fitness, exercise, weapons disarm training, weapons handling, firearms training, ground defense, Kali and Krav Maga training. The training curriculum here focuses on three specific areas: address the immediate danger, counter attack and evacuate the danger zone. Every class includes a warm up, combatives, fatigue & stress drills, defense tactics, knowledge domain and self-defense techniques. This course will get you in the best shape of your life and very quickly. Additionally, you will develop the self-esteem and the confidence that if attacked, you can and will defend yourself. I have been training at QC Krav Maga for just 5 months now. When I first started the program I was out of shape and could barely keep up with the workout. Thankfully there is a great training atmosphere and everyone encourages each other all the time. The staff and instructors are compassionate, friendly and very knowledgeable. In addition to learning how to block and strike an attacker, I’ve learned some valuable self-defense, and I’ve gotten in much better shape. Best of all is that I not only feel more confident in being able to protect myself but I’ve lost weight and I feel great. QC Krav Maga has made a huge difference in my life and I would recommend this program to anyone. QC Krav Maga is a great place to work out and get your sweat on. The training is designed so that the harder you push yourself the faster you get into great shape. I’ve never left class and not been sweating. The instructors have great attitudes, are very approachable, and they are always willing to help you and answer any questions you might have. The curriculum is very well designed and practical. There is not a lot of wasted time on things you won’t use on the street. 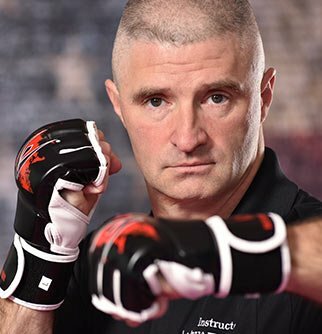 I have really enjoyed working out and training here and I highly recommend it for anyone who is looking for practical self-defense and a way to get and keep fit. I have been taking my 13-year-old daughter, Hollie, to Taekwondo class now for over two years. During this time, she earned her Black belt and her mother and I couldn’t be more proud of her. This has taken a lot of commitment and perseverance on her behalf. Mr. Linnabery has asked me several times over the same two years to try the Krav Maga class and see how I like it. After many students and parents also encouraging me to try it, I finally took the plunge and joined a Krav Maga class. After taking only two classes I am hooked. I must admit, I am not the “work out in the gym” type of person, but taking part in just two of Mr. Linnabery’s Krav Maga classes has inspired me to join. The program has realistic training, self-defense, cardio that makes you sweat, drills that make you strong and more. Every class is action packed. I encourage everyone to try it. You will not be disappointed. In this crazy world today, violence is everywhere and people just want to feel safe. Men want to know that they can take care of themselves and protect their families, and women want to protect their children as well as themselves. You can’t trust that the police will stop the attacker or that bystanders will help you in the time of need. Today you have to learn how to defend yourself and how to evacuate the danger zone. 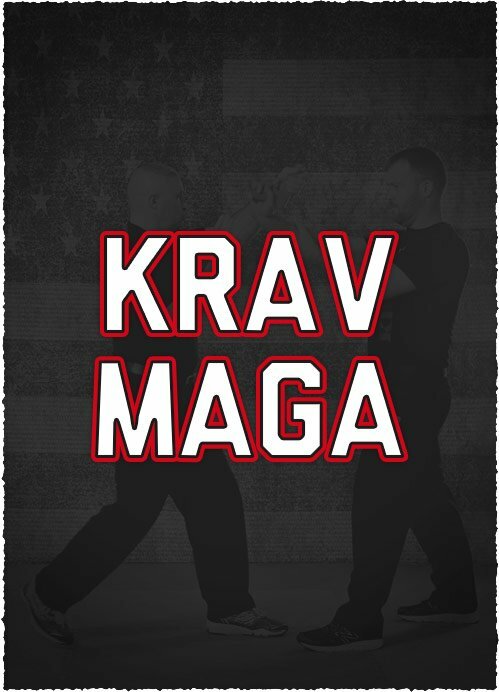 At QC Krav Maga you will learn a variety of techniques that will enable you to either stop an attack before it happens or defend yourself in the time of need. Due to the improved physical fitness that you will acquire while practicing Krav Maga, you will be better equipped to deal with threatening situations in your day to day life. As your fitness improves, your ability to perform the self-defense techniques will improve and so will your ability to defend yourself. This cascade of events will ultimately be what increases your self-confidence. Everyone has some stress in their lives. The idea is to minimize the amount of stress that you do have and what better way than by learning self-defense and working out at the same time. Some stress, in the form of pressure, can be good. Unfortunately, most of us deal with so much that it ends up being bad for us. Too much of any stress puts our body into chemical disaster and can leave you with tight muscles, headaches, back and shoulder pain and body aches. Working out in Krav Maga is a great way to cope with stress. You get to move around, hit and kick bags and even stretch out. As you reduce your stress levels you also reduce your risk of heart disease, stroke, hypertension and many other chronic diseases. Due to the physical requirements and dynamic nature of Krav Maga, practitioners burn more calories, burn more fat, increase their metabolism, and develop significant increases in strength, endurance and speed over time. Our program is designed to teach you how to push yourself and reach your fitness goals. As your fitness increases, so will your daily endurance. Endurance allows you to perform physical and mental tasks longer and more efficient throughout your day. The physical nature of Krav Maga will help you to maintain a healthy weight, increase bone density, improve muscle strength and endurance, boost energy and at the end of the day promote better sleep. Because Krav Maga is highly adaptive and a fast paced form of self-defense, the practitioner gets conditioned to develop a keen scene of awareness of his/her surroundings and what’s going on in it. This is absolutely crucial in order to stay prepared at all times. At QC Krav Maga we not only teach martial arts, self-defense, fitness and nutrition, we live it daily. “Leadership is influence.” What better way to help influence other than to set the example? The instructors here at QC Krav Maga do just that, we set the example by training and helping others to take action daily. We keep ourselves in top physical condition and strive to make fitness a part everyone’s daily lifestyle. We travel several times a year and train with the highest quality instructors in the martial arts industry in order to keep up with the ever evolving world of Krav Maga. We bring this knowledge and experience back to the Quad City Area and teach it to our students. 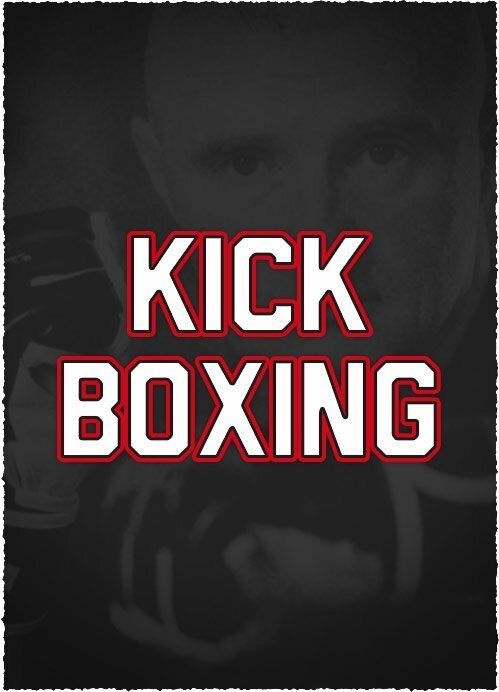 Our mission is to help others reach their martial arts, self-defense and fitness goals. QC Krav Maga in East Moline, IL has a fun, exciting and high quality Krav Maga program that is designed to help you reach your personal fitness goals. Get fit by taking the right steps to creating good fitness habits. Bring a friend and share the experience. Financing & EFT available, most major credit cards, checks and cash accepted.